Born 1976 in Iwate Pref. Starting his career of Hair stylist from 1994, he succeeded to started his own brand “Anthology Hair” from 2010. Putting his basic activity in Hair styling at his salon, he also put his energy into hair styling the top models for famous magazines. 2014 is his 20th anniversary for hair stylist career, he has produced/planned the1st edition hair collection “DEVILS HAIRCUT”. Born 1977 Aichi Pref. Through his experience of Graphic/Web design, he started the Artwork Label “CARTER” from 2010. The fusion of hand writing and graphic design by illustrate, is having a great feedback from several apparel brands, collaborating with garments. 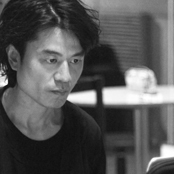 He is participating as an art director in “DEVILS HAIRCUT”. Born 1977 Kumamoto Pref. Grew up in Aichi Pref. Worked as a Photographer in Nagoya at publishing company. 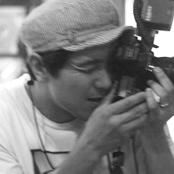 As a location assistant of Keiichi Nitta, he decided to work in Tokyo from 2004, and at present, he works as a freelance photographer in the field of magazine, advertisement, Website. For “DEVILS HAIRCUT”, he participates to make the world, image of “DEVILS HAIRCUT” into reality, through Anthology Hair x CARTER collaboration.